Being a tenant with disabilities can be an enormous challenge. Untreated mental illness can lead to homelessness. Lack of ability to earn income can lead to homelessness. Asking for accommodations for a disability can (illegally) lead to homelessness. Being a person with obvious disabilities can (illegally) lead to "nothing being available." It's a tough crowd out there. Here's are some of the tips we give to tenants with disabilities - things to help, things to think about, things to watch out for. Discrimination because of a disability is illegal, under federal and Wisconsin fair housing laws. You can talk to the Fair Housing Council to get clear that it is for sure discrimination. They can also can help with your next steps, if it is. You can complain about discrimination based on a disability at a federal level here, state level here, or with Wisconsin Consumer Protection here. A landlord who is rude to everyone is just rude, not discriminatory. Though that landlord might well be violating other laws, it wouldn't be discrimination if he/she treats everyone with the same rudeness, regardless of disability status. 2. Reasonable Accommodations: If you have a disability, you can ask for a reasonable accommodation for that disability. The Americans with Disabilities Act says that it is unlawful for a landlord to refuse "to make reasonable accommodations in rules, policies, practices, or services, when such accommodations may be necessary to afford ... person(s) [with disabilities] equal opportunity to use and enjoy a dwelling." the physical space (for example, someone with physical limitations might need grab bars in the bathtub, where there weren't any before). The tenant can be required to pay for such modifications. The landlord may require that a licensed or otherwise qualified trades person make any such modifications to ensure that the work is completed in a manner consistent with good workmanship. Whether it's technically a "service animal" or a less technical "companion/assistance/emotional support animal," if you need to live with an animal to help you with a disability, then you can ask for a "reasonable accommodation" to the landlord's pet policy (whatever it is) in order to accommodate your disability. This means that if a landlord has a no-pet policy, or a series of pet rules/fees, those can be overridden because of a request for accommodation of the disability. In order to ask for this accommodation, the tenant with a disability needs a letter from a medical professional saying: 1. Tenant has a disability (the medical professional does not need to specify what the disability is), and 2. That this specific animal in needed to treat the disability that the tenant has (the medical professional does not need to say what the animal does to treat the disability, nor provide any evidence of training for the animal). The landlord can override the request for accommodation if 1. the apartment is in a complex where the owner lives AND the owner/a member of the owner's immediate family has an allergy to that specific species of animal; or 2. the animal threatens the safety of other tenants (ie, is aggressive to other tenants). Tenants with disabilities who have asked for reasonable accommodations for an animal in order to treat their disability should encourage the landlord to act as though their animal is a piece of medical equipment. They can be asked to pay for damages that the animal does to the unit, if there are any. Break your lease. (More info on our ending your lease page.) This may leave you open to charges of rent for when the unit was unoccupied, if you were still liable for rent during that time according to your lease. However, the landlord needs to look for someone new to live there once you break your lease - this is called mitigation, and landlords are required to do it. If the apartment is unsafe to live in for everyone (for example, perhaps a fire made it unlivable for everyone, and it's not just your personal situation that makes the apartment unlivable), it might worthwhile to move out and later on, argue that you constructively evicted. More info here. You might have some illegal lease clauses that would allow you to void your lease. More info on those are here. Even if your lease has a 5-day grace period before late fees are enacted (which is not required by law), it is still possible for your landlord to report to future landlords that you consistently paid late, or to get a 5-day notice each month when it's late. So, changing the due date in the lease itself, before the lease is signed, is a much safer and explicit way to go forward. If you have paid the rent late, but on the same day each month, for many years, you might be protected even if there's something different in your lease. If tenants and landlords do something a certain way for a long time, even if there's something different in writing, their common practice can become more enforceable than the written way to do things (this is a legal term called "estoppel" - talk to an attorney if you have questions). Of course, it helps if you have evidence of doing it a certain way for a long time, so make sure to put lots of things in writing. 6. Retaliation: If you have disabilities, it is so important for you to assert your rights in writing. If you don't put your requests in writing, and the landlord takes illegal action against you, you will have a very, very hard time proving retaliation was the cause. More info on our retaliation page and our Get It In Writing post. Seriously. This is important. local Public Housing Agencies, where you can apply to be on waiting lists (usually) for Section 8 vouchers or subsidized/public housing. our Finding Housing page (especially under the Resources section). Independent Living Centers have offices that cover most of Wisconsin, to support people living with disabilities. 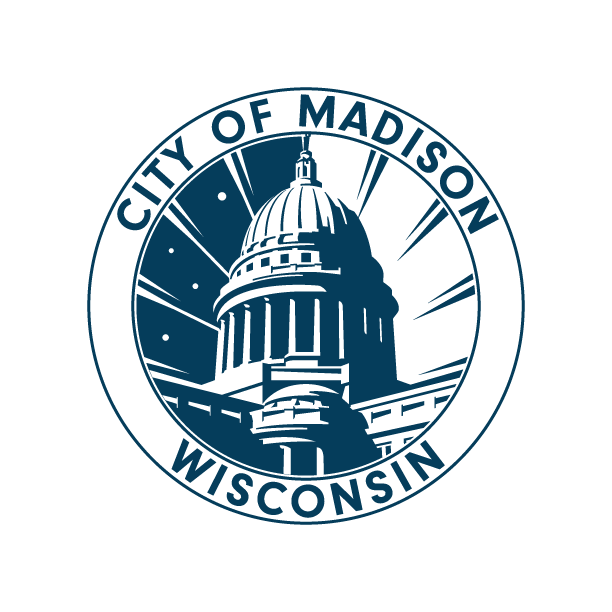 Fair Housing Council offer support to Wisconsinites who suspect discrimination. Us here at the TRC, of course. The TRC can look over leases, talk to you about concerns, and occasionally write letters. (It'll be faster if you try on your own, of course, but we can look it over if you need that support).